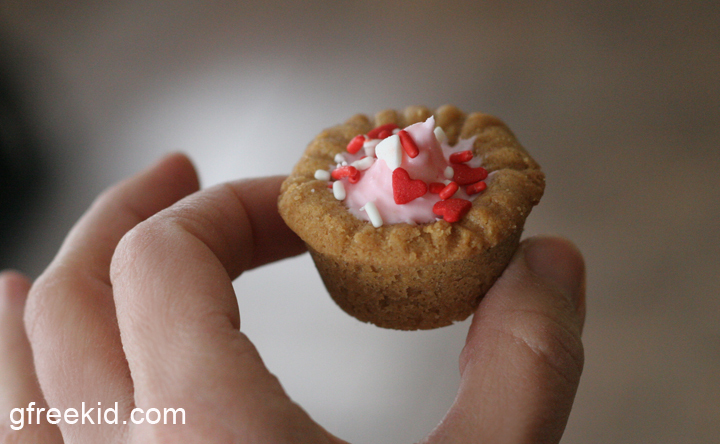 Mini peanut butter cups for your gluten-free Valentine! 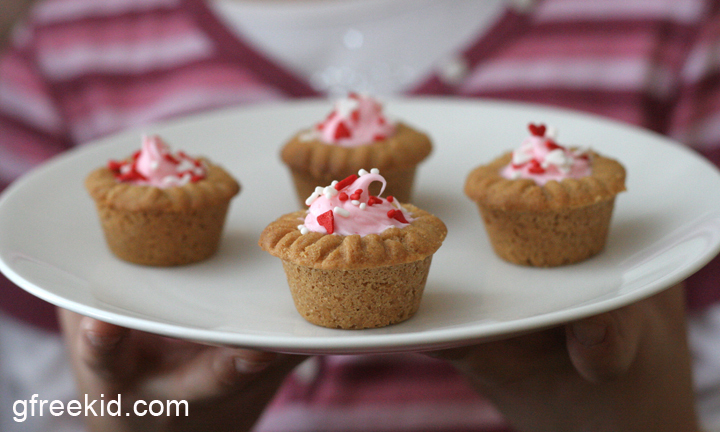 I was looking for something different — yet easy — to make my g-free girls for Valentine’s Day week….I ended up looking no further than one of my all-time favorite cookie recipes: this one in particular. Mix 3 ingredients together, and press cookie dough into greased mini cupcake tin openings. Be sure to press it evenly inside each opening — the same thickness on the bottom as it is along the sides—to ensure even baking, leaving the middle hollowed out for filling later on… The dough should come up and around the edges of each opening, which is where you add fork marks. Then you pop them into the oven and bake for about 9 minutes (watching them so they don’t burn around the top edges) After they are cooled, twist the edges until they loosen and then they should pop right out, nice and sturdy. This entry was posted in Activities for g-free kids, fun for kids, g-free recipes, kids in the kitchen, recipes and tagged desserts, flourless peanut butter cookies, fun ideas, gluten free, gluten-free kid, holiday, ideas, recipes, treats, valentines by kachalmers2. Bookmark the permalink.